Brace yourself because we’re about to tell you something that’s going to change your life: Cookies can be healthy. 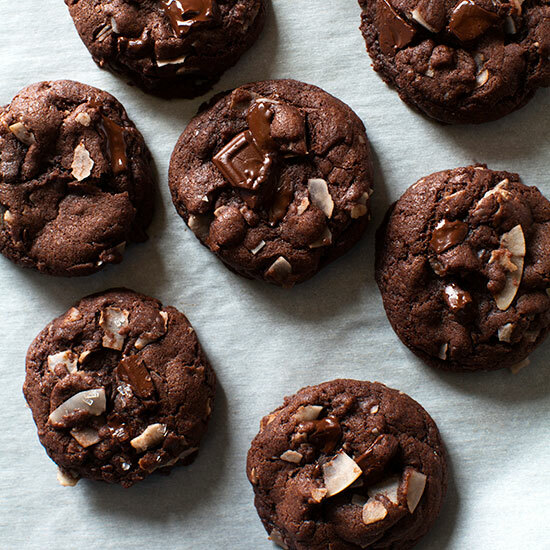 Here, six recipes for good-for-you cookies. Unless you're bent on eliminating sweets from your diet (and we know a doctor who thinks you shouldn't), you'll agree that almost any dessert can be healthy when consumed in moderation. But we can do better. Here, five recipes for delicious cookies that pack legit nutritional benefits. Flax seed meal and whole flax seeds add nutritional value to these gooey oatmeal raisin cookies. There’s no butter in these ultra-chocolaty cookies. Instead, the recipe calls for coconut oil. A vegan twist on the classic snickerdoodle, these cookies are ultra-chewy with crinkly sugary tops. Coconut oil, cocoa nibs and sliced almonds combine together to make these lace cookies extra crispy. They’re rich and butter (yet butterless) and full of almond flavor.